The New York Times has found another Hillary Clinton conflict of interest with the Clinton Foundation. Sid Blumenthal former aide to President United States Bill Clinton, father of the Anti-Semitic writer Max Blumenthal, and employee of the Clinton foundation, was an unpaid adviser for Ms. Clinton on Libya before and after the death of Qadaffi, despite the fact that Blumenthal was also advising a group of private individuals who hoped to make money by obtaining reconstruction-type contracts in a post-Qaddafi Libya, and that President Obama told Ms. Clinton that she couldn't hire Blumenthal to work at Foggy Bottom. Ultimately the business failed before they had to go to the State Dept. for approval but that didn't stop Blumenthal from sending advice from his business associates to Secretary of State Clinton, nor did it stop Ms. Clinton from sending that advice to others at State and saying it was from an anonymous informant. All in all Blumenthal sent 25 letters to Clinton containing "intelligence" from his business friends. Most of it according to the Times turned out to be garbage. But they were sent around to senior State Dept. staff anyway. 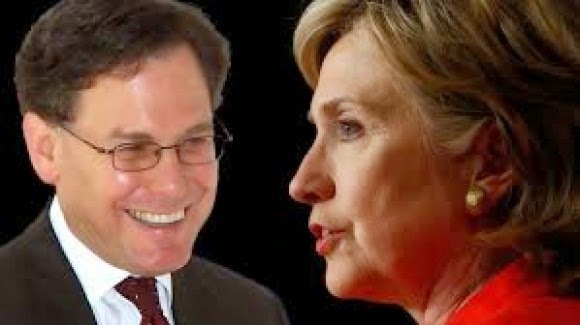 Besides the obvious problem above, that Ms. Clinton was circulating flawed intelligence vetted by no one and tainted by the objectives of Blumenthal's business associates, is the possibility of conflict of interests if she knew about the Libyan business partners. Even if she didn't know there are the issues of her judgement in passing around the data without making sure it was valid and of course ignoring a specific request about Blumenthal made by the President.